Visiting Giethoorn is a perfect day trip to add to your itinerary while in Amsterdam. Known as the “Venice of the Netherlands” Giethoorn can be reached either by tour or city bus, train or by a private tour. A two and half-hour ride and you will soon be at a magical little town. Once you arrive you can choose to take a tour by boat with a group, rent your own or walk the canals. If you have experience with boats, this may be a good choice, however, be prepared for heavy crowds at certain times of year. The crowds can make manoeuvring a boat more difficult. If you choose to walk to get your bearings first, you can head down the path which follows along the canal. The best part is exploring and strolling along the paths to look at the beautiful thatched roof homes and their gardens. There are also lots of shops to explore, a museum and a church. When it is time to eat, there is something for everyone. Giethoorn is filled with a variety of restaurants, from authentic Netherland dishes to Italian pizza. If you chose to drive your own boat, I would not expect to be able to park it to eat, especially during busy times. It is also important to respect the rules of the canals, and the homeowners. Zaanse Schans is a fairytale countryside near Amsterdam which will transport you to 16th century Europe with its colorful wooden houses and old windmills lined along the river Zaans. All you need to do is take the bus no. 391 from the Amsterdam Central Station and reach the Zaandam bus stop in 1 hour. Zaanse Schans is an anchor-point of the European Route of Industrial Heritage. 16th and 17th century witnessed the rise of Zaanse Schans as one of the biggest production and trading hubs of the planet owing to its advanced technology and the trade route through the Zaans river. In the Zaanse Schans museum, you will get a virtual tour of life in the countryside over centuries, how the windmills came into being and became an integral part of the “Zaans identity”. The Zaanse Schans museum is one of the best museums I have ever visited but even if you skip it, you could still spend the whole day enjoying the natural beauty of this countryside and watching birds and cattle in the field. 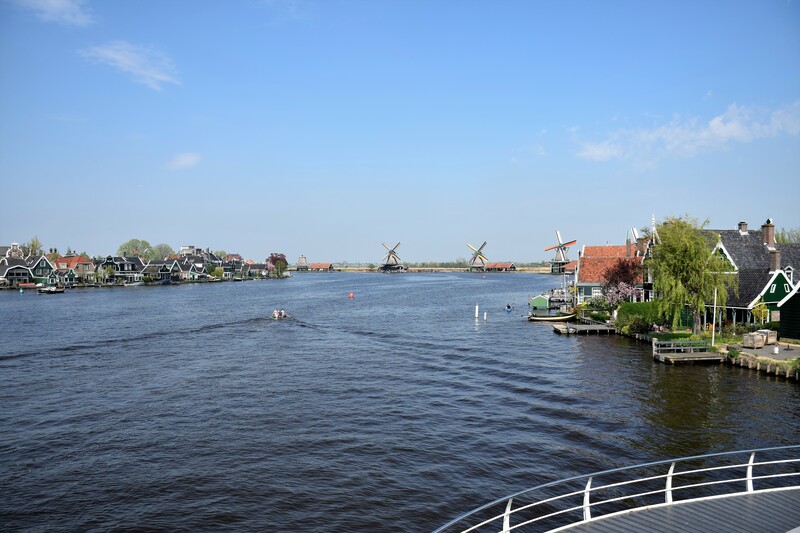 You can take a tour inside one of the functioning wooden windmills, climb up the stairs to the top to get breathtaking panoramic views or hire a boat to sail on the river. I was glad that we planned this day-trip in our short 3 day Amsterdam itinerary. Utrecht is a beautiful city and can be reached from Amsterdam by train in just 30 minutes. Most places of interest are located within the center and can easily be reached on foot. 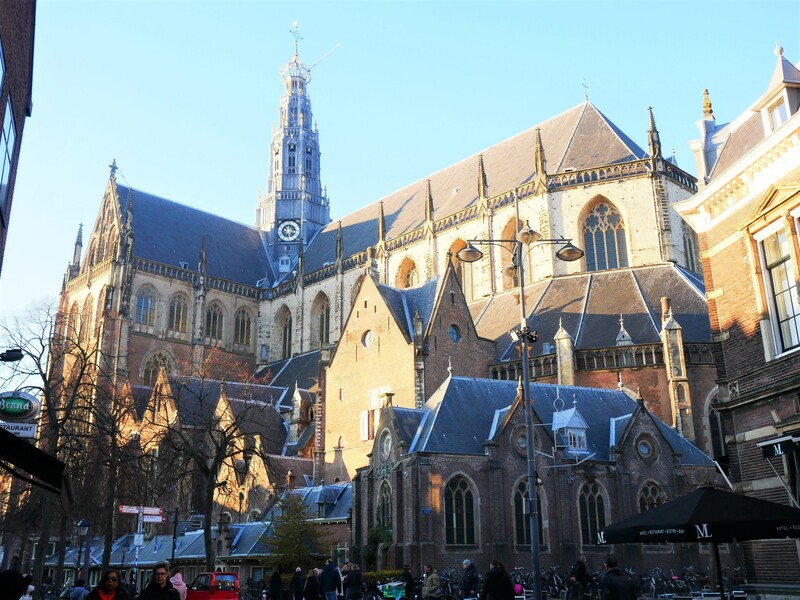 The following places are a must-see on an Utrecht city trip. Any day of the year is suitable for a visit unless it’s raining. No planning is needed but tickets for the underground Dom museum need to be purchased as just 20 visitors can go in each hour. Start the day at the old university library building (crossing of Drift and Wittevrouwenstraat). Continue through the beautiful narrow streets towards the Janskerk (church) and onwards to the old post office. The post office is a beautiful example of art-deco in Utrecht. Next up is the Dom church with its cloister and gardens. If you’re up to it, you can climb the tower too. If you start early morning, it’s time for lunch after the Dom visit. In the afternoon the Riedveld Schroder House or the Railway Museum are a must go to. The railway museum is also a great place to visit with kids. If its nice weather wandering along the canals and through the narrow streets is also a great way to spend the rest of the day. There is much more to do but these activities are the must-see and dos for a first-time visit. Located only 20 minutes by train from Amsterdam, Haarlem is a lovely destination to visit on a day trip from Dutch capital. With it’s charming main square, historic city centre and many cosy cafes and restaurants, it is a place that shouldn’t be missed. Haarlem has a rich history you can feel on every corner while there. It was a major Dutch city in the 14th Century and a residence of counts of Holland. The oldest Dutch museum, Teylers, is located there, as well. It was an important center of beer production, with around 100 breweries existing in 1620. Some of those traditional beers could be still tasted in Jopen Kerk in Haarlem. The best time to visit it is during the spring months, when many events are taking place and when it’s warm and sunny outside. Haarlem was a flower trade center during the 17th Century and today, one of the biggest flower parades in the Netherlands, is organised there. It’s a huge event happening each April with a different theme every year. On April 27th the King’s Day is celebrated and many events are taking place in Haarlem, too. With its location next to the Zuid-Kennemerland National Park it’s a lovely place to go and spend some time in nature, as well. You can see numerous species of birds there, deer and a highland cattle. You can rent a bicycle at Haarlem train station or join some of the organised cycling tours and explore the city and it’s surrounding. Gouda (pronounced How Dah ) is a great day trip from Amsterdam. Located just over an hours drive (bus and train accessible also) south of the Capital, its a real foodie experience. This city lends its name to the famous ‘Gouda’ cheese, for which this area is known. The best time to visit is in summer between the months of April and August when this town is buzzing and is host to the age old Gouda Cheese Markets. There is a delightful array of tasty samplings on offer from the local sellers who source their product from local artisan famers. 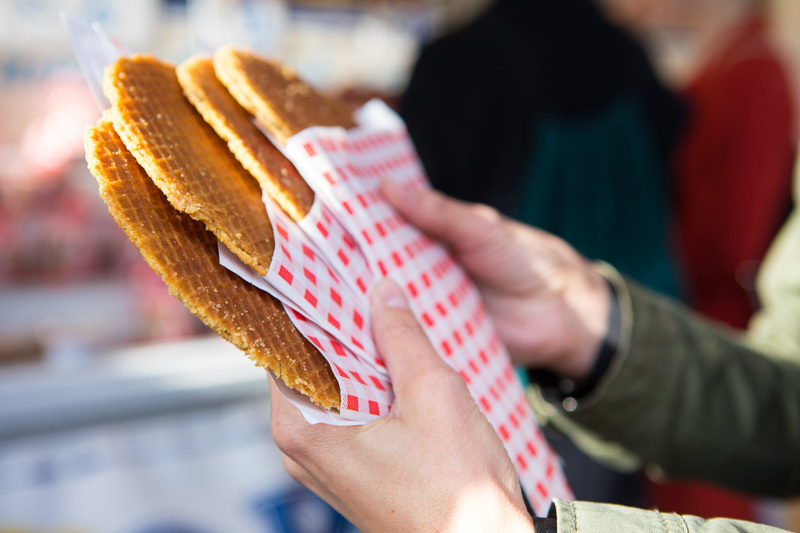 If cheese is not to your fancy, try the syrup waffles (stroopwafels) which is another yummy product of this city. Gouda has a cathedral dating back to the 1600 with unique stain glass windows that are worth a viewing and a Town Hall steeped in history that stands right in the middle of the busy city Square. When you have wandered through the lanes and perused the shopping district with its eclectic shops, see the city from a new perspective and hop aboard a canal boat. 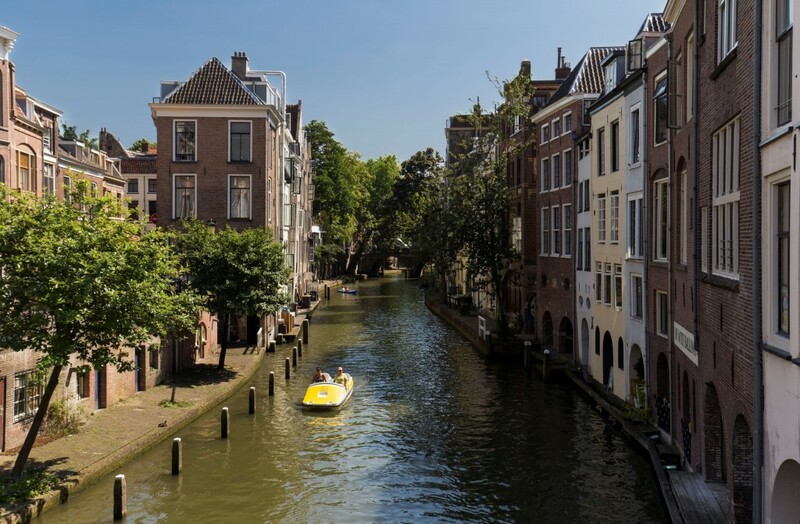 This city is set on a network of canals so spend the afternoon sipping wine hearing about the history and secrets of the past whilst leisurely floating past cyclists and cute row houses. I am sure that Amsterdam is on almost everyone’s bucket list! Especially when it comes to teenagers who just got their high school diplomas, students graduating from universities or people having their last weekend of freedom. Well, equally thriving and beautiful is the city of Groningen.Groningen isn’t as large as Amsterdam and not as flamboyant when it comes to the famous red-light district. However, Groningen is largely a university city, full of students, hip culinary movements and buzzing pubs. 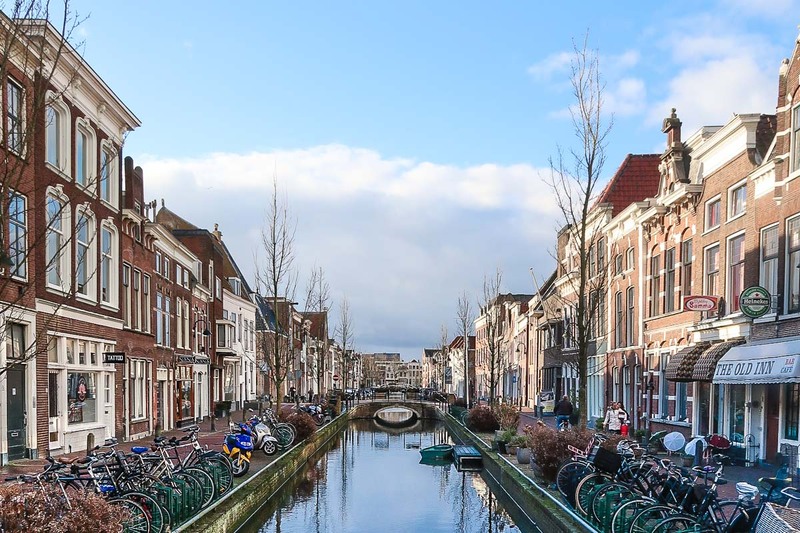 In addition, it is not as crowded and over-priced as Amsterdam, so the city of Groningen is an excellent choice for those who wish to experience the Dutch culture on a budget. The city of Groningen is a historical and charming city, with plenty of things to do for all types of tourists. You can explore the city’s history by taking a stroll down the centuries-old streets. In addition, you can eat exciting delicacies such as the famous Groningen mustard soup or a traditional poffert cake. Or, you can attend the famous fish market. Most importantly, the city caters very much to vegetarian and vegan lifestyles with tons of cool vegetarian and vegan restaurants on every corner. All in all, I’d say the city of Groningen has the entire package. Check out my post on the vegetarian restaurants. I’ve found in Groningen on my food and travel blog. There, you’ll learn all about the city, and make sure to look for my mustard soup recipe! Nijmegen is the oldest city in The Netherlands and even celebrated its 2000-year existence in 2005. Besides that, Nijmegen is a perfect city for a great day trip from Amsterdam. There are beautiful monuments and streets to get lost in. You can go shopping in the oldest shopping street in The Netherlands, the Lange Hezelstraat. There are wonderful museums to visit in Nijmegen, such as the Afrika Museum and Museum Het Valkhof. The parks are great, and the atmosphere of Nijmegen is very calming and relaxing for being a relatively big city in The Netherlands. As Nijmegen is placed on the tenth place of biggest cities of The Netherlands and has more than 174.000 inhabitants. Nijmegen truly has everything you can wish for. There are even beaches on the riverside of the Waal river. During summer you will enjoy the sunshine and cool water together with horses and cows that live there. There is not one season that is better when it comes to visiting this beautiful city. Although visiting mid-July will be even more spectacular thanks to a major walking event called the Vierdaagse. During the Vierdaagse thousands of people of all ages walk four days straight in Nijmegen and surroundings. You will find parties during the day and night, lots of exciting people and a welcoming atmosphere. So, now you know that there are plenty of great things to do in Nijmegen, The Netherlands. And it’s only a 1,5-hour train ride from Amsterdam. One of my favorite day trips from Amsterdam is spent at the Hoge Veluwe National Park. It will take about two hours journey time on public transportation to get to the park, but then you have the rest of the day to hop on one of the famous, free White Bikes and pedal around the extensive trail system. Once you are at the park you can hop on any bike in the parking lot and take off for other parts of the park. Just leave your white bike in a designated parking spot and hop on a new one when you’re ready to head off to the next stop. Enjoy a picnic lunch or eat in the park’s restaurant, stop off for tea at the beautiful Jachthuis Sint Hubertus (Hunting Lodge), and visit the second largest collection of paintings by Vincent Van Gogh at the Kröller-Müller Museum. The biking is not too challenging, this is the Netherlands after all, so the routes are mostly flat wandering through open meadows, quiet woodlands, or along lakes and streams. The park is open all year just be sure to check the hours and book your tickets in advance (especially for the museum). 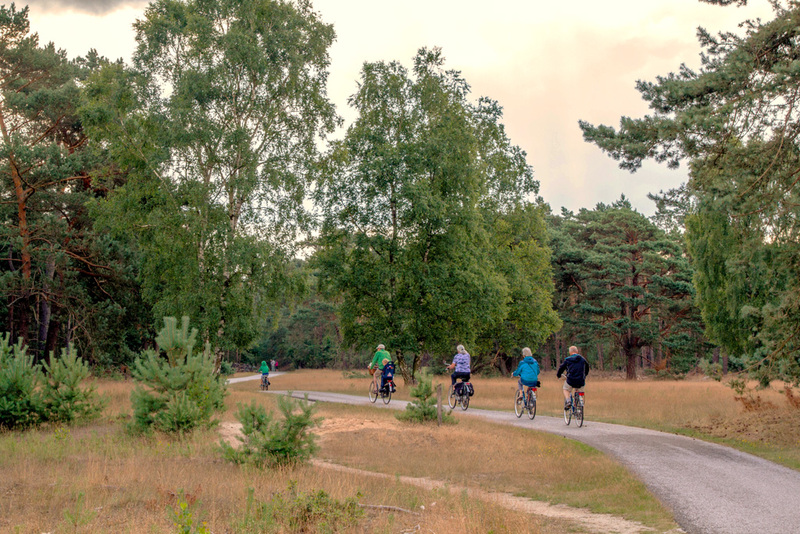 The best time of year to visit Hoge Veluwe National park is spring when the wildflowers are blooming or fall when the weather has cooled down and there is a some color in the fall foliage. Vlissingen is a small coastal city deep in the southwest of the Netherlands. During the summer it can be a lot of fun, and many tourists and locals come to enjoy the beach, the many festivals running through town and the beautiful scenery in the area. However the shoulder seasons around May and October when the city is empty is still very charming. 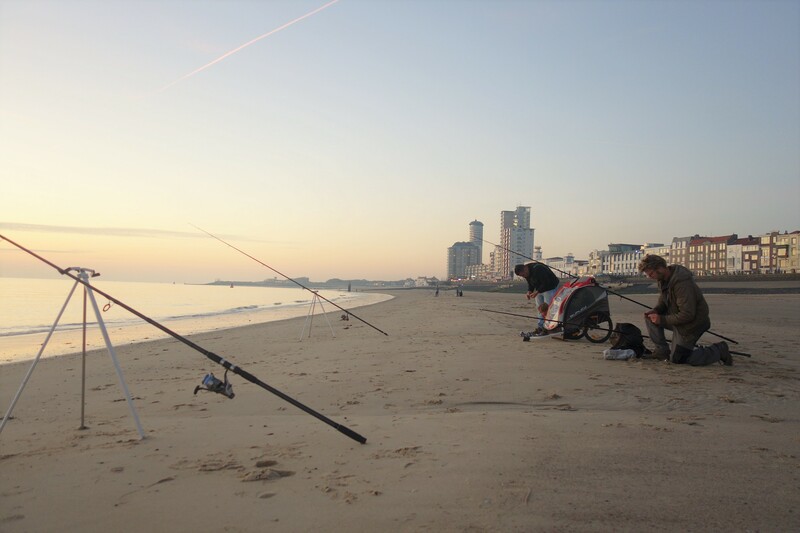 Biking, hiking and fishing are all popular things to do, and Vlissingen beach is nothing short of stunning. A day trip is definitely possible if you leave early (the train from Amsterdam is around 2.5 hours each way) but spending a few nights here is always a great choice as well. Zandvoort was a fishing town for many centuries, and then it became highly popular for the wealthy and famous as a seaside resort. Nothing has changed as people flock to the seaside. The beaches on the North Sea are long and very pleasant. Best time to visit are the summer months, between April and September. 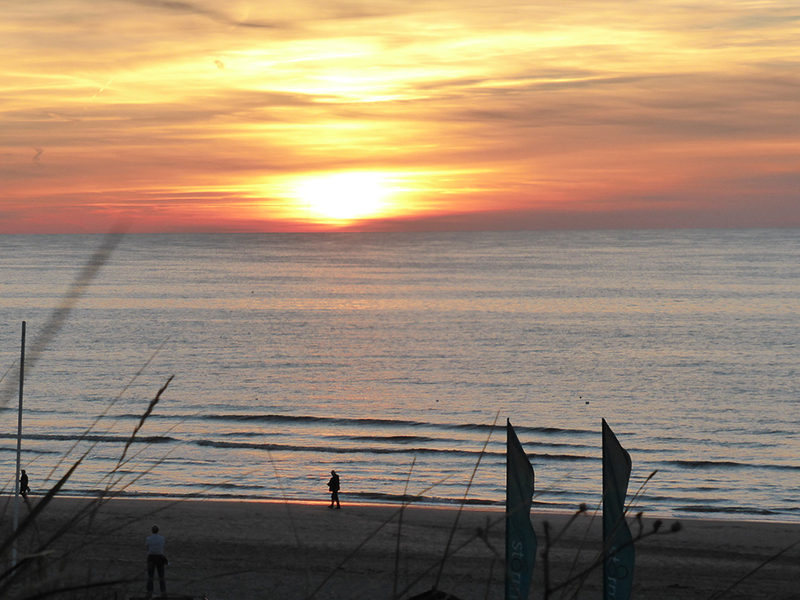 Zandvoort is all about the beaches, sand dunes, the deer, little coffee shops and restaurants, shops as well as a very active arts community, and real beachside dining. There are restaurants that are erected during the summer months on the sand, and then they dismantle and close over the winter months. Zandvoort is also the home of the oldest Grand Prix track, and is still a very active racing circuit and a very popular Day trip from Amsterdam. The city of Delft lies a little over 60 kilometres south-west of the Dutch capital. Travelling by train from Amsterdam takes just 46 minutes, making Delft ideal for a day out while in the Netherlands. It’s a destination that warrants visiting throughout the year.If you visit during the summertime, from June into September, be prepared for streets busy with tourists. This city can by no means be described as ‘a hidden gem’. Thanks to Delft’s long history and wealth during the Dutch Golden Age, there are many buildings that warrant viewing and visiting. 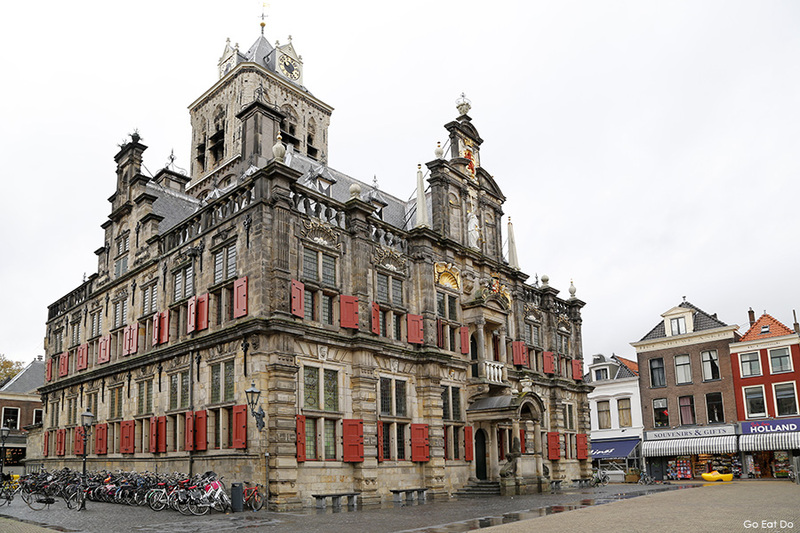 The stadhuis (city hall) in Delft. Photo by Stuart Forster. The stadhuis (city hall) in Delft. Photo by Stuart Forster.If you enjoy photography, there are many ‘typically Dutch’ buildings with ornate facades. Attractions include the Prinsenhof Museum, within one of Delft’s former nunneries, which was the location of William the Silent’s assassination during the Dutch Revolt; the war against Spain that led to an independent Netherlands. The Nieuwe Kerk, whose name means ‘new church’, dates from the 14th century and from the observation platform on its tower, which you can reach by climbing 376 steps, you’ll be able to enjoy outstanding panoramas of Delft and the surrounding landscape.Of course, the city’s name is closely associated with the blue and white Delftware pottery that is produced within Delft. If you don’t want to walk, visit the Royal Delft factory by rickshaw. Rickshaws run from the market square, in front of the city hall.All in all, Delft makes for a good day out whatever the season. So, if you thought that Amsterdam was good only for a weekend, think again. There is so much to do around Amsterdam that you might just end up spending a week in this Dutch city!